The arrest of an Indian diplomat in New York on charges of visa fraud has spiraled out of control into a major diplomatic row between the United States and India. As Sanjay Kumar reports for The Diplomat, Devyani Khobragade’s arrest in New York City sparked outrage almost ubiquitously across India. In a remarkably swift and decisive response, New Delhi struck back against the United States’ diplomatic presence in India with a variety of measures. The humiliating method in which U.S. law enforcement handled the arrest of the Indian diplomat were alleged to violate the Vienna Convention on Diplomatic Relations which grants diplomatic immunity to foreign officials, and guarantees courteous treatment if arrested for a “grave crime.” The United States alleged that Khobragade did not possess diplomatic immunity as a consular officer. Since The Diplomat’s earlier report, New Delhi has begun the process of transferring Khobragade to the Indian Permanent Mission to the United Nations in New York, where she will be afforded full diplomatic immunity acknowledged by the U.S. Department of State. The Secretary understands very deeply the importance of enforcing our laws and protecting victims, and, like all officials in positions of responsibility inside the U.S. Government, expects that laws will be followed by everyone here in our country. It is also particularly important to Secretary Kerry that foreign diplomats serving in the United States are accorded respect and dignity just as we expect our own diplomats should receive overseas. As a father of two daughters about the same age as Devyani Khobragade, the Secretary empathizes with the sensitivities we are hearing from India about the events that unfolded after Ms. Khobragade’s arrest, and in his conversation with National Security Advisor Menon he expressed his regret, as well as his concern that we not allow this unfortunate public issue to hurt our close and vital relationship with India. It remains to be seen if Kerry’s response is too little, too late. The incident represents an unfortunate setback to bilateral ties which had been burgeoning in several areas of cooperation; India and the United States see their national interests converging on matters of security and strategic cooperation. The U.S. arrest of an Indian diplomat and its symbolic ramifications harken back to an older Indian approach to the United States: one of skepticism, distance, and indignation. 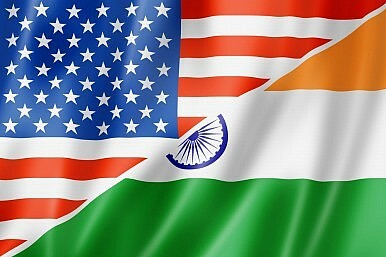 India’s relations with the United States don’t stand on firm ground by any means. India’s legacy of non-alignment fostered a deep mistrust of the United States. Combined with India’s propensity to eschew alliances, the relationship didn’t find any momentum until the landmark civil nuclear cooperation deal in 2006 between the Bush administration and Prime Minister Manmohan Singh’s government. The United States, prior to the civil nuclear cooperation deal, had taken exception to India’s nuclear program, imposing harsh sanctions against it after its nuclear weapon test in 1998. Perhaps the tragedy of the entire Khobragade spectacle lies in its predictability. Even before the details emerged about her treatment at the hands of law enforcement officials, I suspected a strong political blowback in New Delhi. As Sanjay noted in his article, India’s political scene is currently in flux and nationalism combined with “flag-raising theatrics,” as one editorial put it, never go out of vogue. Not content with verbally condemning the arrest, India took active steps against U.S. diplomats, rolling back security measures and demanding salary audits of Indian domestic help employed by American diplomats. The proportionality of the Indian response is dubious, but it succeeded in conveying a clear message to the United States: India is ready to play a dangerous game of reciprocity. While the humiliating conditions of her arrest certainly warrant a strong response from New Delhi, the lack of attention to her alleged crimes in the Indian response is discouraging and reflects poorly on the Indian government’s priorities. If the alleged visa fraud occurred and her domestic helper was mistreated and underpaid, the case warrants New Delhi’s cooperation. The United States, of course, didn’t leave much room for a non-hysterical response from India when its law enforcement authorities needlessly humiliated her, stoking a massive emotional backlash over concerns that India’s diplomats are not respected in the United States. Things were handled poorly by the United States in its response as well. Secretary Kerry’s response, three days after the incident was allowed to fester, represents poor foresight and reinforces the perception in India that the United States sees its relationship with India as purely instrumental, driven by extrinsic factors, not intrinsic appeal. Additionally, the invasiveness of law enforcement procedures were rightly condemned by the Indian government. For the moment, it seems as if “regret” is all that the United States can offer – the legal question of whether the U.S. government will continue its case against Khobragade despite her transfer to the U.N. remains open. The Khobragade incident exposes the enduring strains of skepticism in India about its relationship with the United States. One hopes that the incident – which should have been localized and handled via private diplomatic consultations – will not do irreparable damage to the relationship. It remains to be seen if India and the United States can find an easy out from this fiasco that stands to unravel years of fragile bilateral goodwill. The reaction by both sides has been less than encouraging so far.